4. Beauty and the Beast – Live On Stage – Another live show in Disney’s Hollywood Studios brings the classic tale of another Disney Princess to life on stage. Sunset Boulevard is home to the Rock ‘n’ Roller Coaster Starring Aerosmith, The Twilight Zone Tower of Terror, and the Hollywood Hills Amphitheater in addition to an open air theater that runs one production throughout each day in the park. Beauty and the Beast – Live On Stage tells the beloved story of how Belle fell in love with the Beast through live acting, musical numbers, favorite characters, special effects, and more. 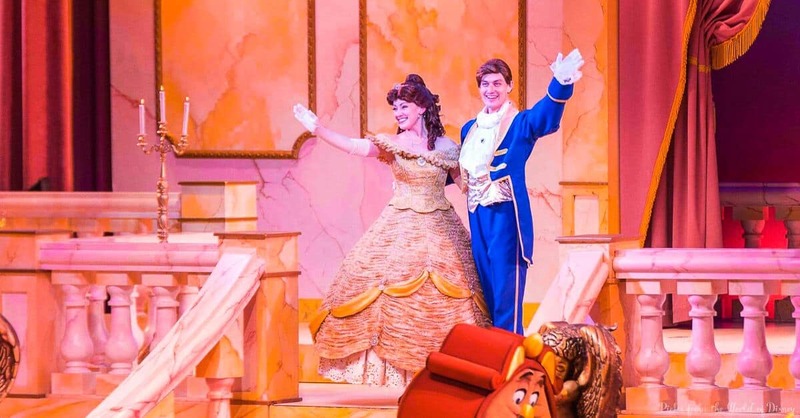 Guests are sure to love watching a favorite heroine come to life on stage and the musical numbers such as “Be Our Guest” are so amazing that they will be clapping along. Beauty and the Beast – Live On Stage is the perfect live show to enjoy in Disney’s Hollywood Studios as it features an amazing production as well as a shady theater that is also open to the breeze.